Traveling with Cremated Remains. We realize how difficult it is to lose a loved one, but knowing and planning to meet required conditions ahead of time can help you avoid disappointment at the airport. You may bring cremated remains in a cremation container or urn on the plane with you, but first it must pass through the X-ray. It must be made of a material that allows the X-ray to clearly scan its contents. It must pass security screening. Documentation from a funeral home does not provide an exemption to this requirement. Screening officers are not permitted to open a cremation container, and they will not inspect the contents if you open it yourself. It cannot be placed in checked baggage if it has been X-rayed at pre-board screening and its contents could not be determined. Some airlines do not allow cremated remains in checked baggage, so please check with your airline first to learn about possible restrictions. Ask your funeral director about temporary containers for transportation purposes. These containers are more likely to pass through security. You can also bring your empty permanent container with you and arrange for a funeral home at your destination to transfer the container contents. Due to differences in thickness, shape and material, some cremation containers are more likely to pass through security screening. Ship the container via mail, cargo or courier. Please keep in mind that shipping options vary at airports. Screening officers are not permitted to open a cremation container, and they will not inspect the contents if you open it yourself, unless it is empty. It cannot be placed in checked baggage if it has been x-rayed at pre-board screening and did not pass security. Cremation container and documentation requirements when travelling can vary, depending on your destination. If you are travelling internationally, we suggest you contact the embassy for the country of your destination before you fly to determine their specific requirements concerning the transport of cremated remains. Can the family fly on the same flight as the deceased? Unfortunately not. 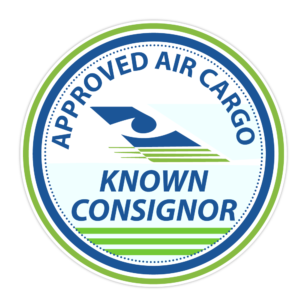 The flights that are used to coordinate shipments are cargo, not commercial, flights. Can additional items (such as mementos) be shipped in the casket or urn? No. Additional items other than the necessary paperwork and the clothing articles worn by the deceased may not accompany the shipment. Does clothing have to be provided? Our staff will provide cloth shrouding in the event that the family is unable to, or wishes not to provide clothing (for spiritual or cultural reasons, for example). Can a service or visitation be held in Canada before the shipment proceeds? Absolutely. Additional costs apply, but it is a common request. Are there alternatives to formal shipment? We invite you to visit web site at www.catsa.gc.ca/whatcanIbring for travel tips and a complete listing of all permitted and non-permitted items.